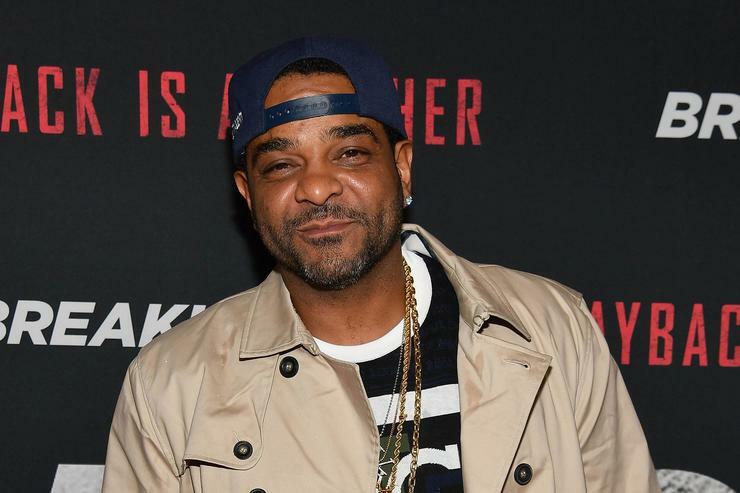 If you somehow missed it, Jim Jones was arrested last week in Georgia’s Coweta County for drug and gun possession. The Dipset rapper was reportedly riding in the backseat of a vehicle that went on wild police chase. Police would go on to eventually pull the car over and find marijuana, oxycodone, Percocet, THC oil, two loaded pistols, and cash after a search. He was subsequently hit with felony charges of possession of a stolen gun, possession of a firearm during commission of a crime and possession of narcotics. He also got hit with a with a misdemeanor charge as well. In addition to that, Jones also spoke about Kanye, Meek Mill, and the Drake-Pusha-T beef. He even said he was down to box 50 Cent, who’s been trolling him on IG these past couple days following his arrest. “50 lets shoot a fair one for some money and lets show these dudes how to do it man,” Jones said referring Drake & Pusha T should get in the ring. “Lets set it up bro. Get Mayweather. He just got 3 trillion dollars. Tell Mayweather throw us some money man. 4-5 million a piece man” he added. Check out the full 27-minute interview (below), where he kicks things off right away about the arrest and later (23 min. mark) talks about boxing 50 Cent.